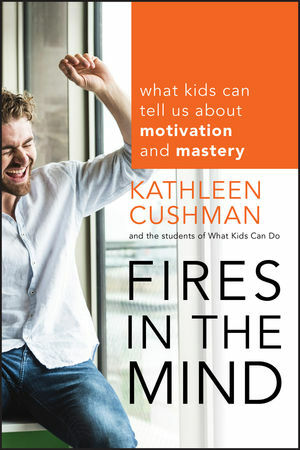 Through the voices of students themselves, Fires in the Mind brings a game-changing question to teachers of adolescents: What does it take to get really good at something? Starting with what they already know and do well, teenagers from widely diverse backgrounds join a cutting-edge dialogue with adults about the development of mastery in and out of school. Their insights frame motivation, practice, and academic challenge in a new light that galvanizes more powerful learning for all. To put these students' ideas into practice, the book also includes practical tips for educators. From the acclaimed author of Fires in the Bathroom, this is the next-step book that pushes the conversation to next level, as teenagers tackle the pressing challenges of motivation and mastery. Kathleen Cushman writes, speaks, and consults to a national audience of educators. A journalist and documentarian, she cofounded the nonprofit What Kids Can Do, which collaborates with diverse youth in the United States and abroad, bringing their voices to bear on the complex challenges that affect their lives and learning. She is also author of Fires in the Bathroom and coauthor, with Laura Rogers, of Fires in the Middle School Bathroom. 1. What Does It Take to Get Good? 8. Is Homework Deliberate Practice?